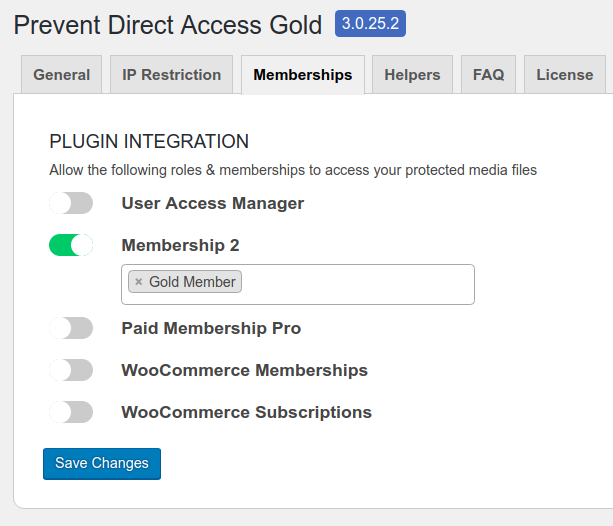 While you can grant access to your protected WordPress files by user roles with our Prevent Direct Access (PDA) Gold, the Membership Integration extension goes even further and allows you to set the permission to your custom membership types. Once you’ve activated our extension successfully, there will be a new “Memberships” tab under our PDA Gold settings. Simply select your custom membership types and click “Save changes”. 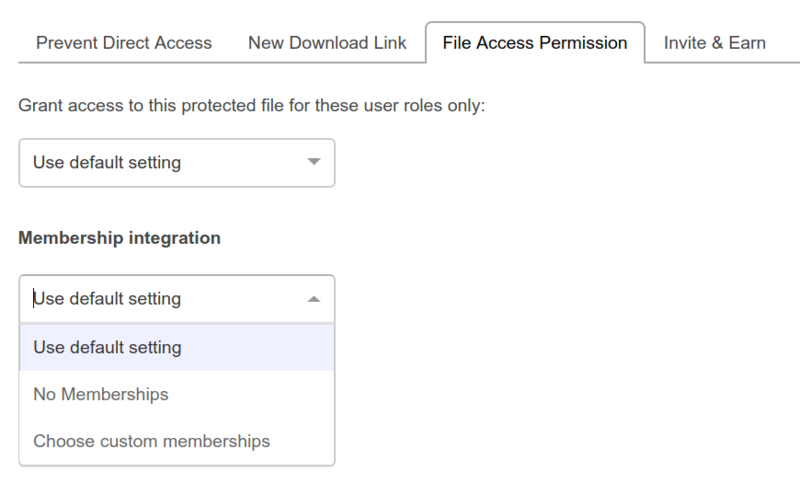 Instead of setting the same membership access to all your protected files, you may want to set different membership access to each individual files. 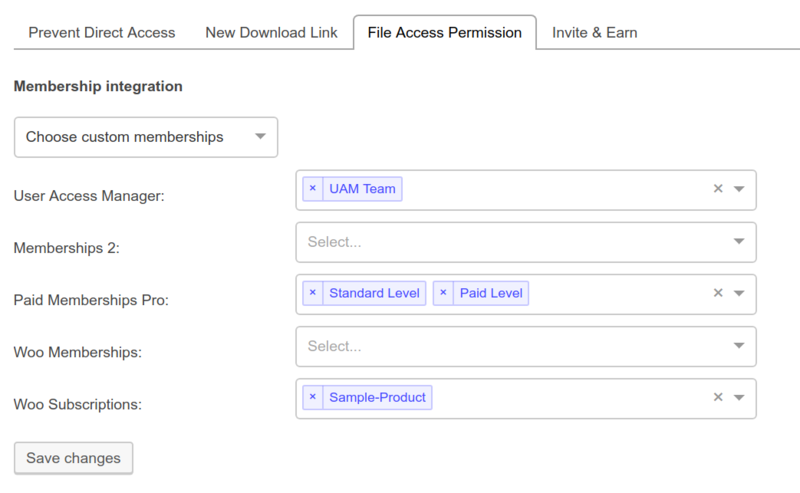 Apart from setting the permission on individual files, you can grant the same membership permission across multiple files at once with our Bulk Actions.